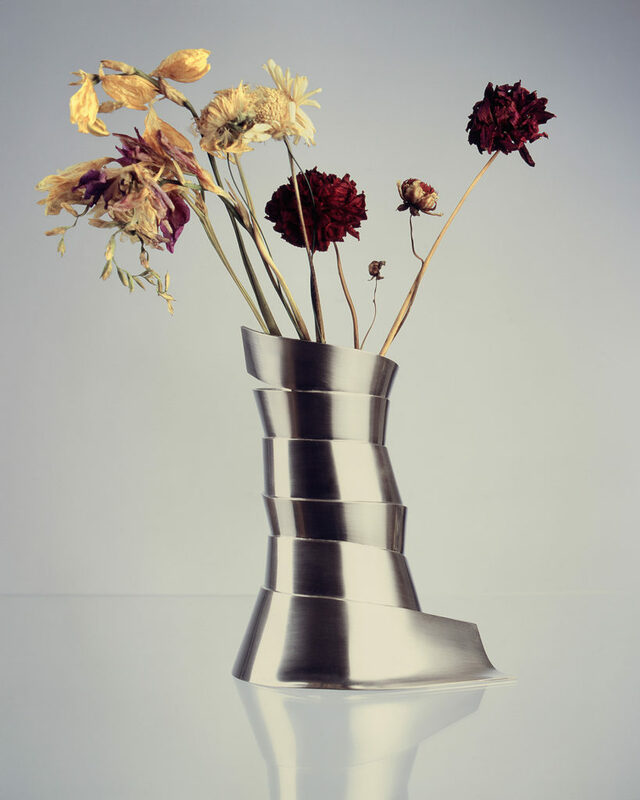 The shape of vase “Vertigo” represents a ribbon tying a bouquet of flowers. Quite challenging silversmith techniques bashing, smuggling and soldering gave birth randomly arranged composition. 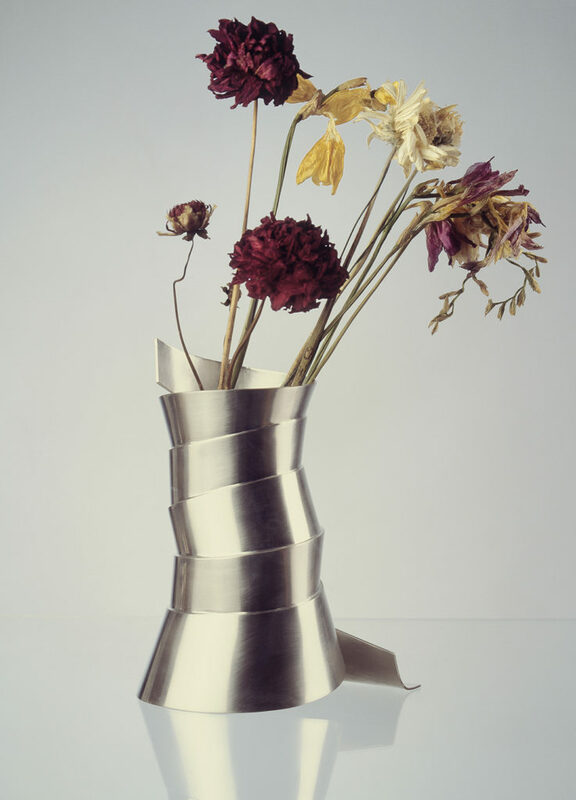 Silver belt, from which is vase made of, is the join and soldered along all lenght. Vase is therefore closed and it is possible to pour water without leaking. Silver is in a quality of sterling.